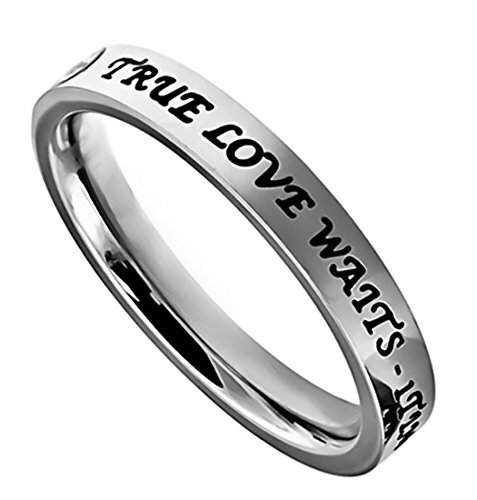 This is a gorgeous very well made stainless steel band featuring TRUE LOVE WAITS 1 TIMOTHY 4:12 engraved into the band along with some brilliant sparking clear faceted rhinestones. 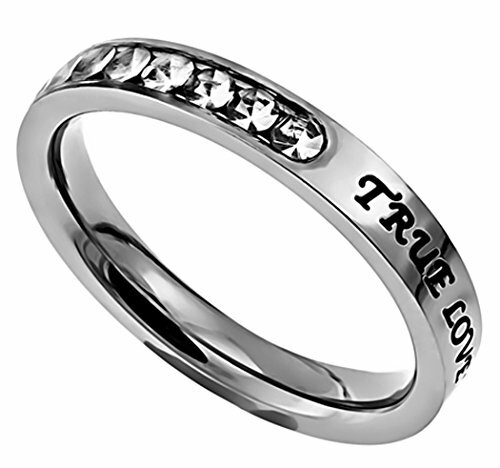 Makes an awesome purity or engagement ring as well as a Christian friendship ring. Comes in a cute little gift box. If you have any questions about this product by Christian Rings, contact us by completing and submitting the form below. If you are looking for a specif part number, please include it with your message.